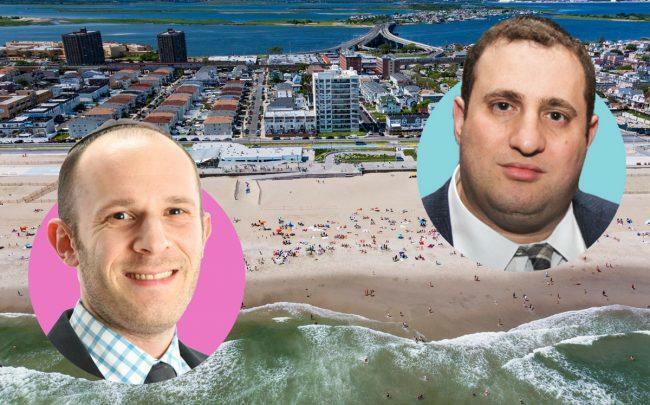 UPDATE, April 11, 4:15 p.m.: Michael Stern is cashing out on a sprawling complex of luxury properties in Far Rockaway, and he found a buyer with ambitious plans for the seaside community. For a price tag of $33 million, Teaneck, New Jersey-based Treetop Development acquired JDS Development Group’s newly built Saltmeadow development, which is comprised of 30 town homes with 60 luxury rental apartments along Beach 5th and Beach 6th Streets, property records show. Signature Bank provided $24.5 million in financing. The move comes about a year-and-a-half after Treetop, headed by Azi Mandel and Adam Mermelstein, bought a property that sits the next block over from Saltmeadow — the 916-unit complex at 711 Seagirt Avenue. Treetop is renovating the complex, renamed Ocean Point, for north of $20 million, Mermelstein said. And in December, Treetop snapped up 10 vacant parcels across the street for $2.5 million, property records show. The site holds 90,000 buildable square feet, and Mermelstein said the firm plans to develop into a residential property with a retail component. The broker in both of those deals, Westwood Realty Associates’ Steven Vegh, represented both parties in the latest transaction as well. He declined to comment. JDS, better known for developing luxury towers like 111 West 57th Street, the American Copper Buildings and Walker Tower, did not return a request for comment. Stern in 2015 bought eight parcels at the site for $4 million from controversial developer Shaya Boymelgreen. An entity owned by Howard Lorber’s family also was a partner in the development of Saltmeadow, Lorber’s firm, the Vector Group, confirmed. Treetop has been drawn to the far-flung Queens neighborhood in part because of the city’s efforts to revitalize the area, Mermelstein said. For example, the city enacted ferry service between Far Rockaway and Lower Manhattan. It also received a $300 million rezoning in September 2017. “In Far Rockaway, we think that there’s very good value both for rentals as well as landlords alike. … We in turn have allocated a good amount of resources to the neighborhood because we too believe in it and want to piggy back off [the City Council and mayor’s] efforts,” Mermelstein said. Built within Far Rockaway’s flood zone that was hit hard by Superstorm Sandy in 2012, Saltmeadow, which has rents ranging from $2,300 to $5,500, was constructed to withstand flooding. For example, the complex features flood vents, and the living areas and electrical closets sit above the base flood elevation. 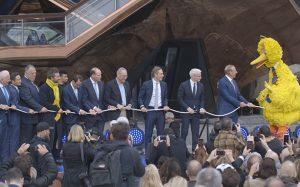 Update: This article was updated to add a partner in the development of Saltmeadow.